Host museum-quality traveling exhibits – for free! Welcome to The Paly Foundation! Our science-based, nature-conservation themed exhibits and Educators Guides are loaned out free, excluding shipping, to museums, libraries, zoos, aquariums and other qualified organizations. These museum-quality exhibits are shipped with stands and hardware for either floor display or for hanging from walls or ceilings. They offer a unique educational experience for students K-12 and beyond. 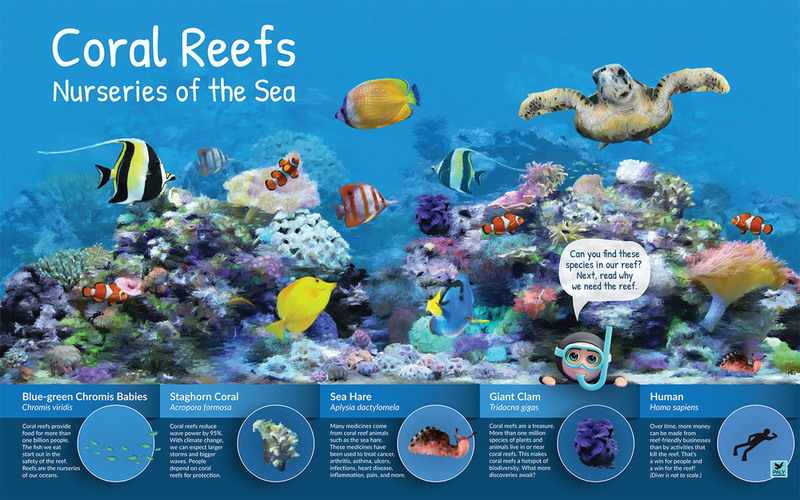 An Educators Guide with ideas for presenting the exhibit to different age groups, additional activities, games, and exercises for a deeper dive into the subject.